You Can't Hide From The Vet! While we ALWAYS love seeing each and every pet that comes through our doors, unfortunately the feeling isn't always mutual. 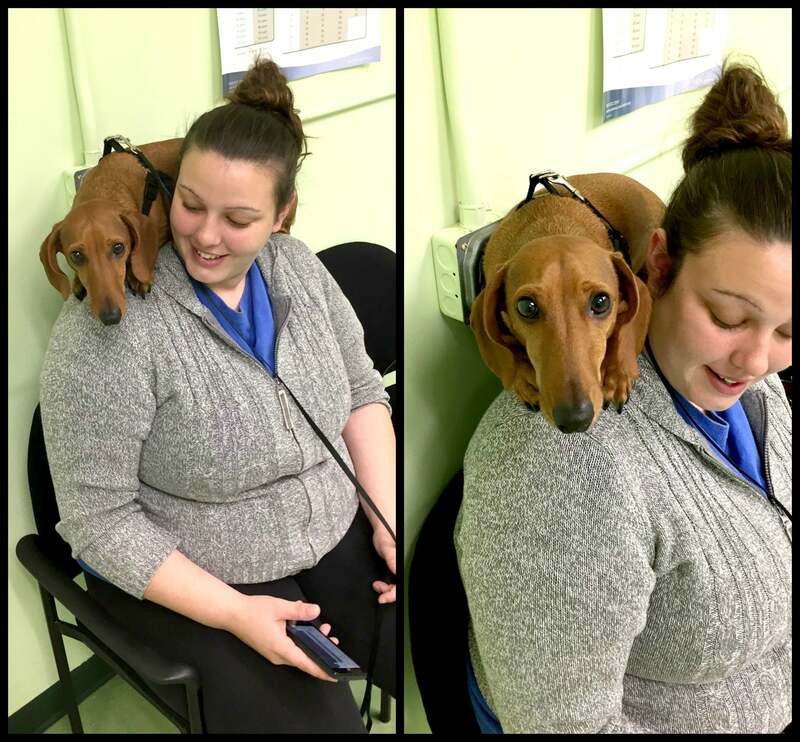 Milo, a 4 year old dachshund, tried to take cover and hide from Ingrid at the beginning of his exam. Much to his dismay he didn't quite camouflage into the wall as well as he had hoped... Once we got going on the examination he did splendidly and even ate the treats we gave him. It's been another good week at Hope Crossing!